The River Torridge starts its journey at Meddon near Hartland surprisingly close to the source of the Tamar that in contrast journeys to Devon’s South Coast flowing into the English Channel at Plymouth. The Torridge flows through the heart of Devon’s rural interior. Rolling hills, lush green fields and abundant woodland it is famed for its association with Tarka the Otter. Otters are fortunately still a common site for anglers as they cast their lines for salmon and sea trout on the many miles of water that are available to fish. The Torridge is a smaller river than its sister river the Taw and is perhaps less daunting to fish with plenty of excellent fly water. Day Tickets for salmon, sea trout and brown trout are available from the Half Moon Inn at Sheepwash that boasts a rich fishing pedigree with several beats available throughout the river. 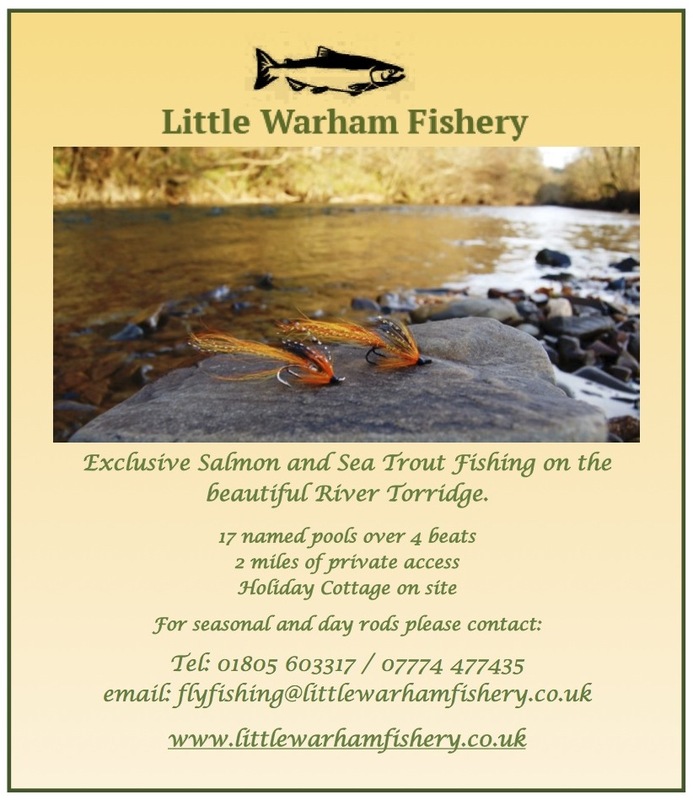 The Little Warham Fishery also offers excellent fishing opportunities for salmon, sea trout and wild brown trout. 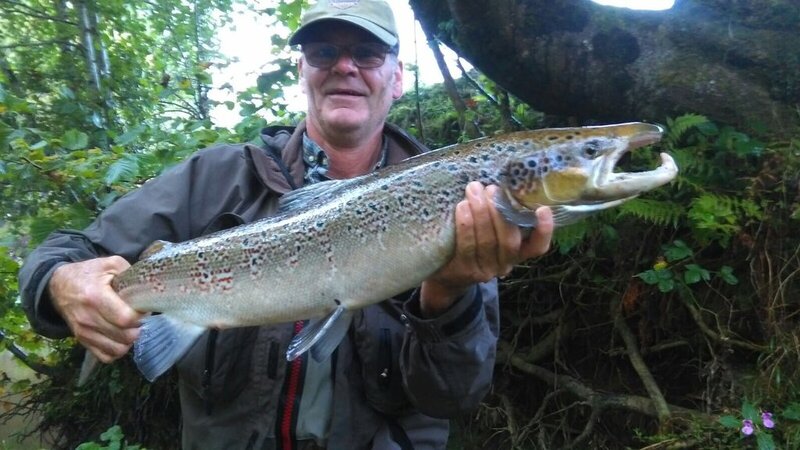 Whilst many focus on the Torridge as a salmon and sea trout river its dry fly fishing for brown trout can be superb with great sport to be enjoyed on both the main river and its many tributaries. 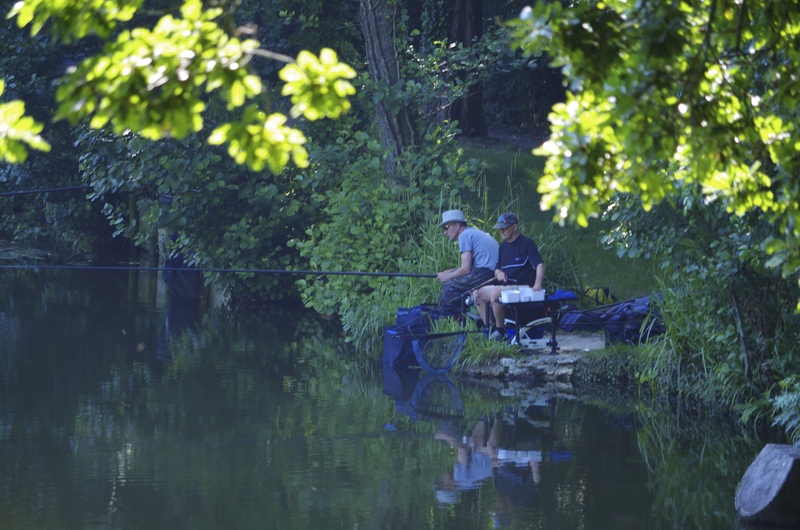 The West-Country Angling passport scheme offers a wealth of opportunities. 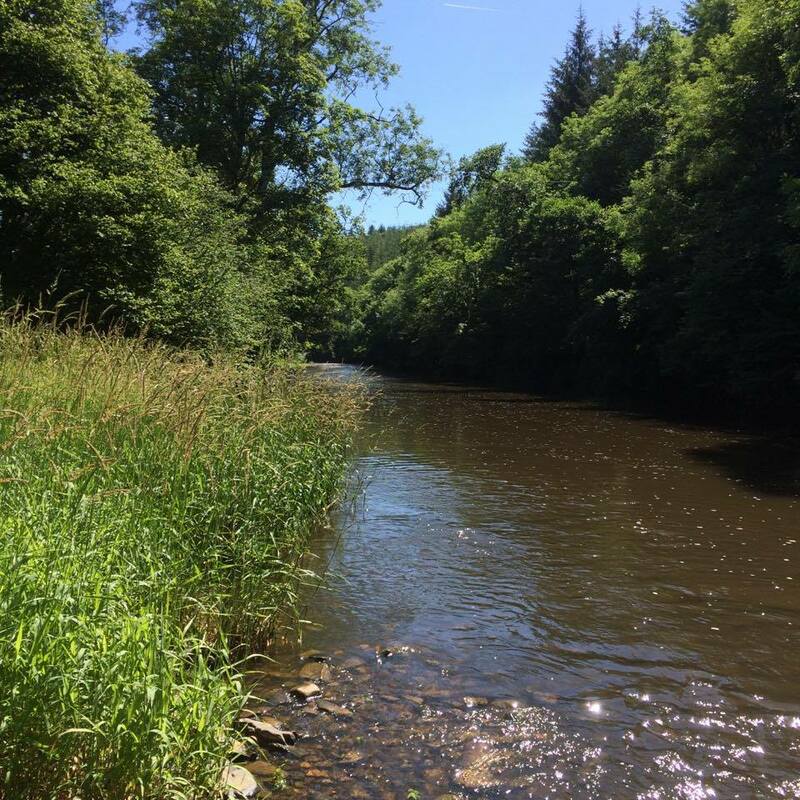 There are plenty of opportunities for the coarse and carp angler in this heart of rural Devon with a variety of waters. 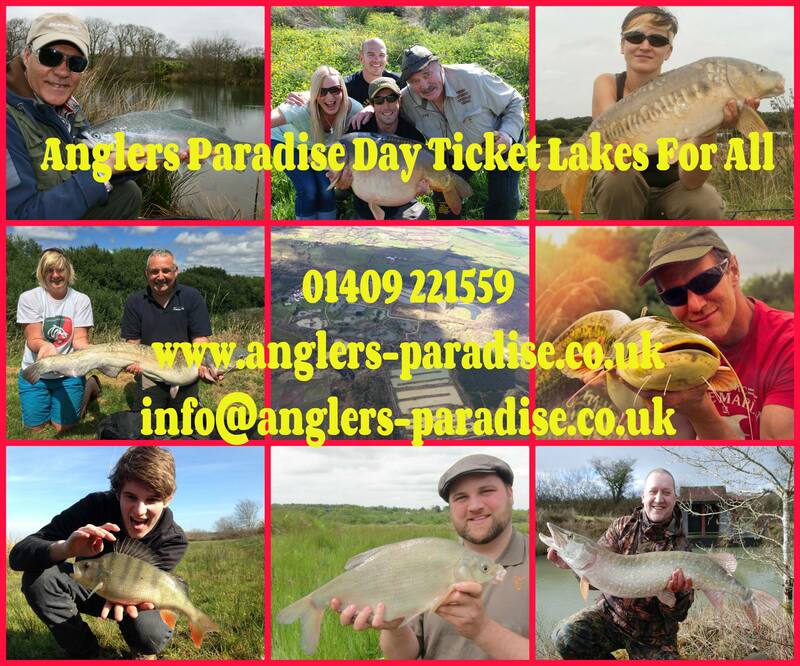 The famous Anglers Paradise complex owned by the notorious Zyg Gregorek and family offers a vast range of opportunity with everything from gudgeon to huge carp, catfish, pike and trout. 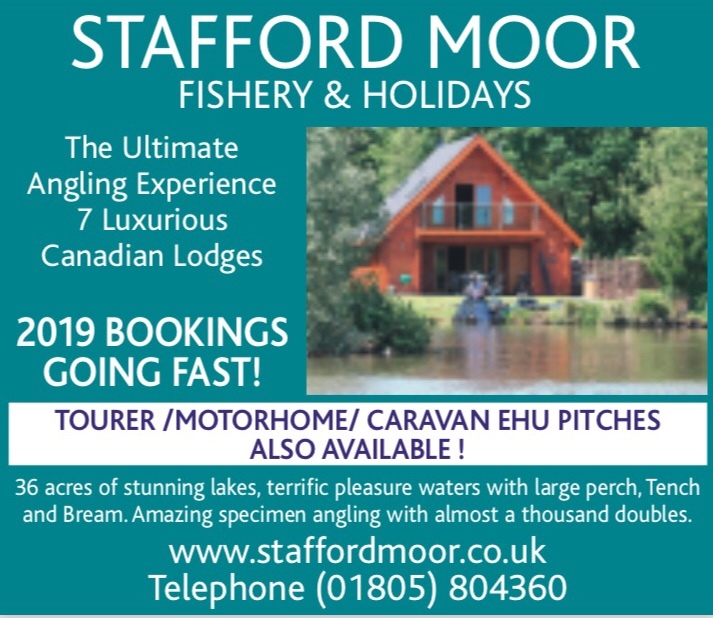 Whilst renowned for its holiday complex the venue also boasts some superb day ticket fishing with Anglers Nirvana and Eldorado home to catfish over 60lb and carp in excess of fifty pounds. 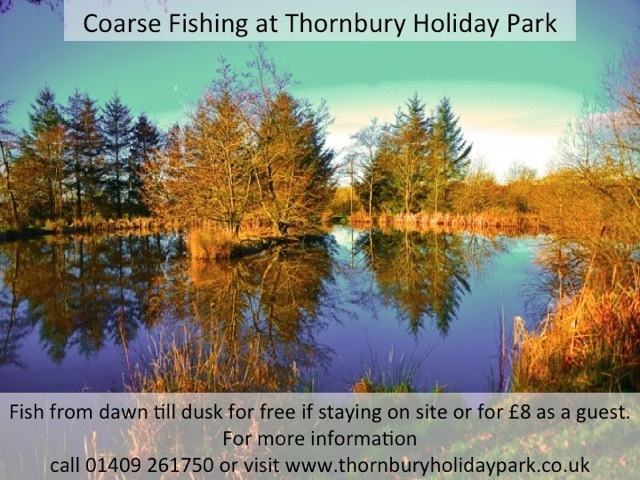 Close to Holsworthy are Thornbury Fishing Lakes that offer carp to double figures along with tench, bream and other coarse fish. Day tickets are available for the two lakes that are set in a tranquil rural setting. 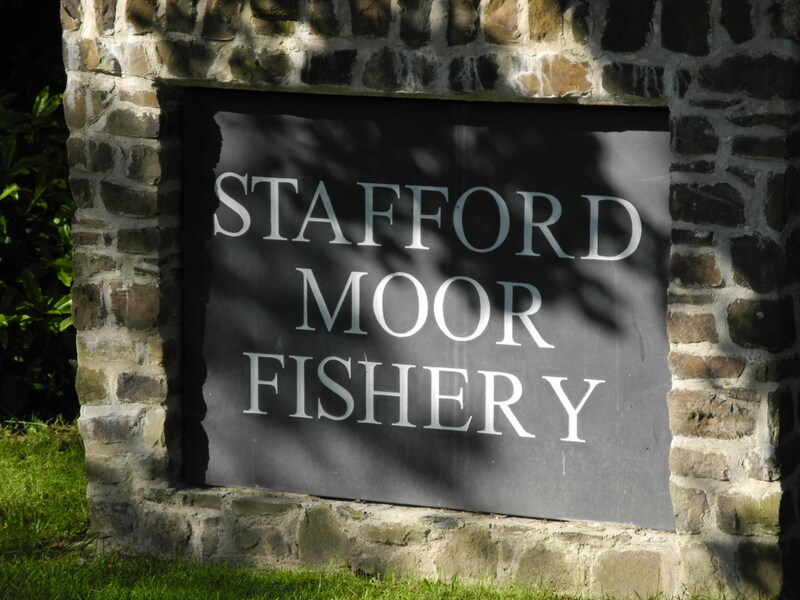 Stafford Moor Fishery close to Dolton has a well deserved reputation for its prolific carp fishing and match fishing. 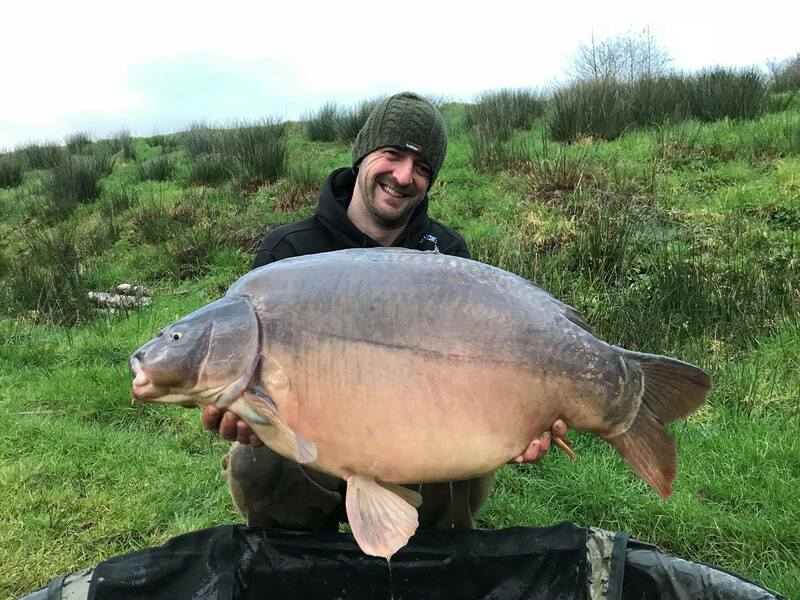 The lakes are well established and run by the Combe family who have invested much time, effort and money to build upon the sound foundations laid by the previous owner Andy Seery. 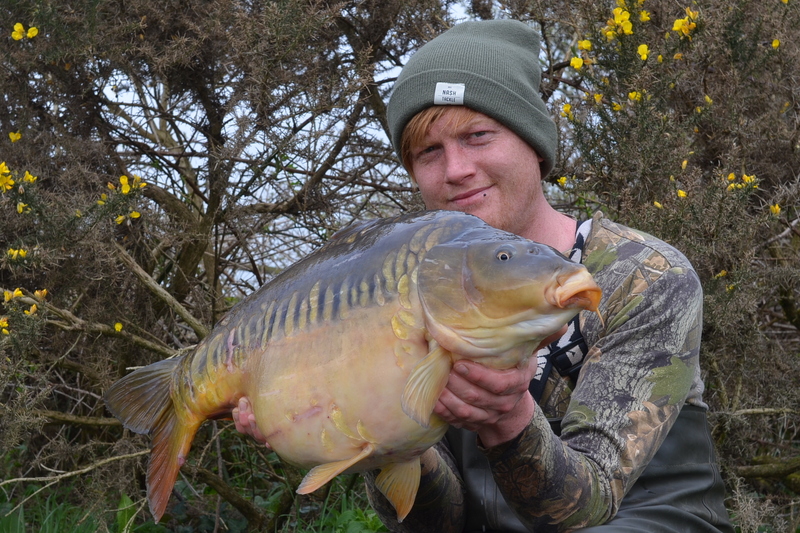 The Match lakes regularly produce ton up bags of carp with Open events held on a regular basis throughout the year. 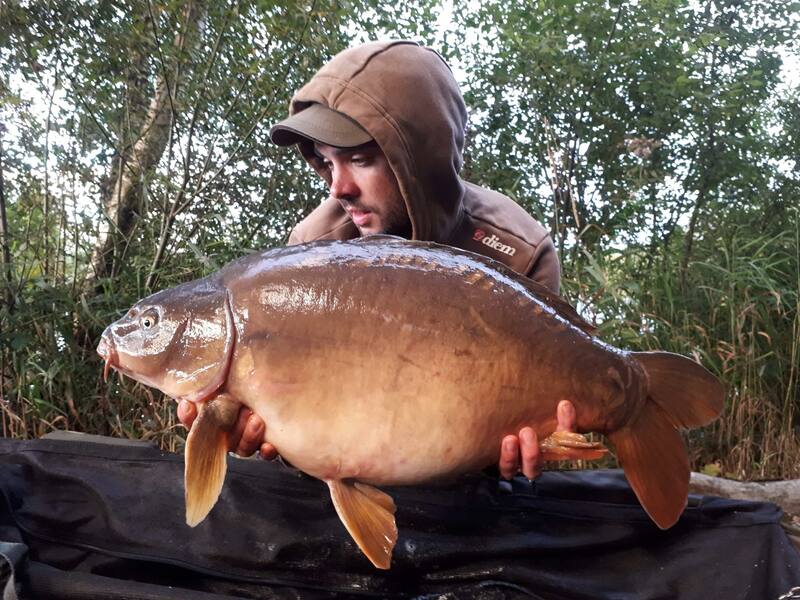 Carp anglers have the choice of two lakes Beatties and Lodge Lake both of which contain carp to over thirty pounds with twenty pound fish frequently gracing the bank. The lakes also hold a variety of other species to specimen size including perch, eels and a few surprises. 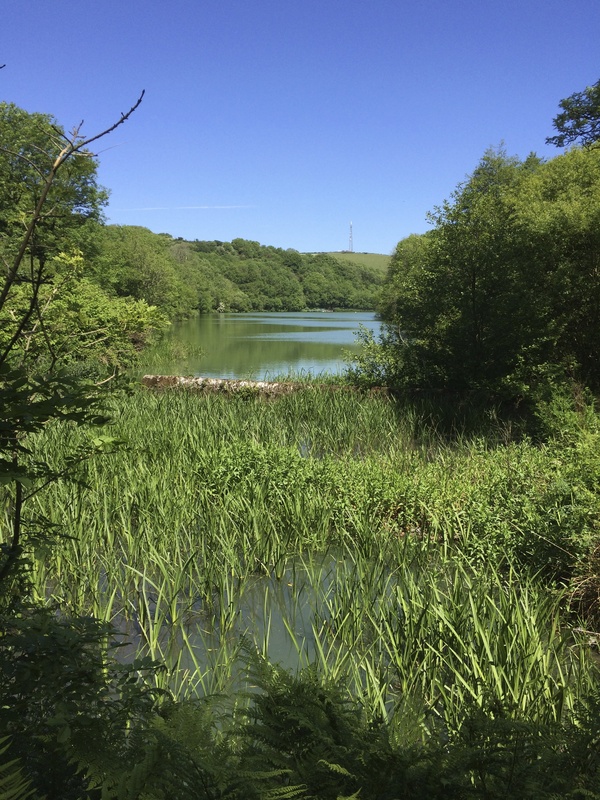 Melbury, Jennets, Darracott, Upper and Lower Tamar are all controlled by South West Lakes Trust and all hold some impressive stocks of coarse fish. Specimen Carp are caught in all of the venues with multiple catches of double figure fish common. These waters tend to offer more of a challenge than the heavily stocked commercial venues and are often less crowded as a result. Though this is not always the case at weekends when news has spread regarding good catches. 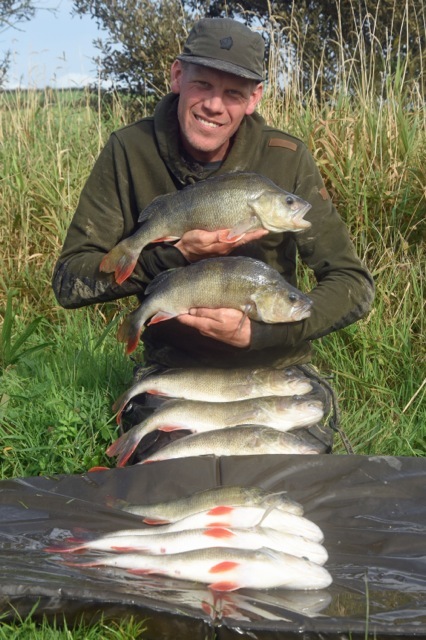 Carp are not the only specimens to dwell within these waters with some huge perch to over five-pound present in several of the lakes. These long-established waters are also home to some huge eels that offer a serious target for the dedicated eel angler. Lower Tamar also holds a good head of bream to double figures. 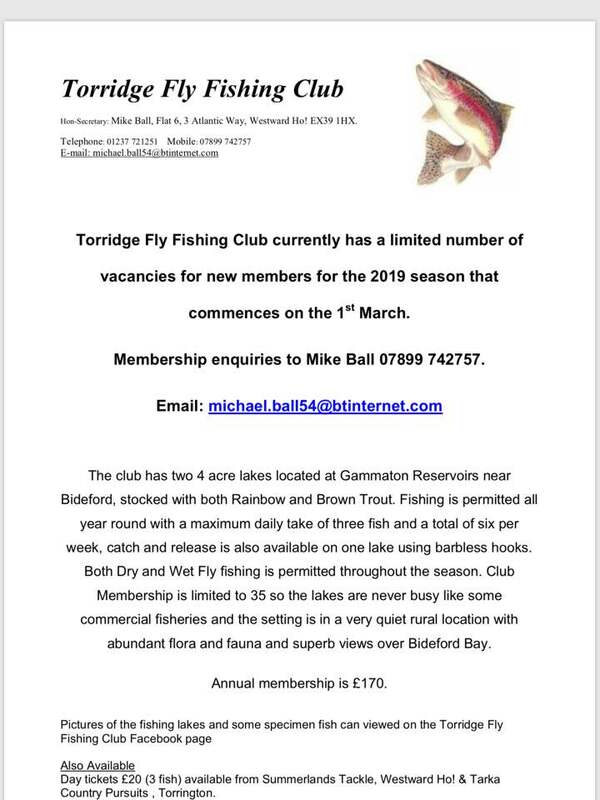 Match fishing on the reservoirs brings bulging nets of silver fish with Upper Tamar considered one of the best venues for silver fish in the West Country. 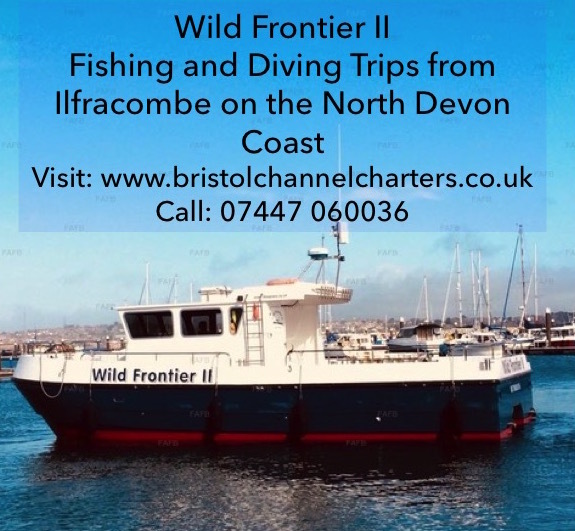 Ilfracombe is a town with a Victorian heritage located on the North Devon coast that has a wealth of opportunities for the angler. 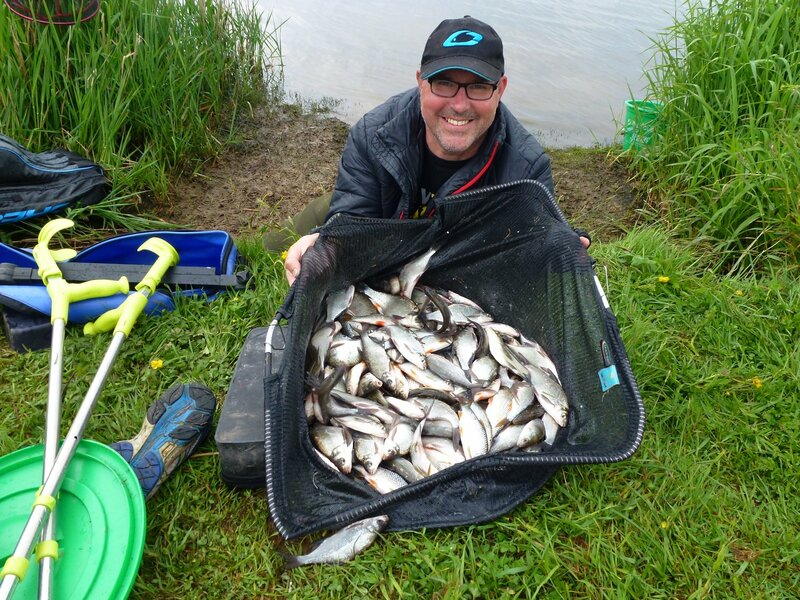 Sea Anglers are well catered for and there are several Coarse Fishing lakes within the surrounding area. 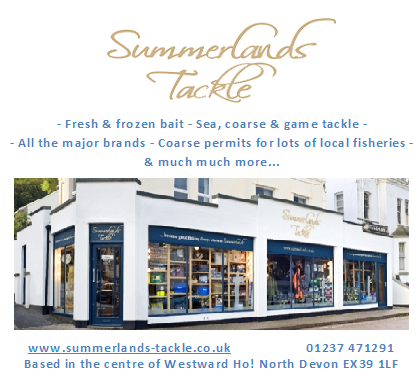 The town has plenty of facilities for visitors which makes it a good base to explore North Devon with plenty of scope for family fishing and for more serious angling excursions. 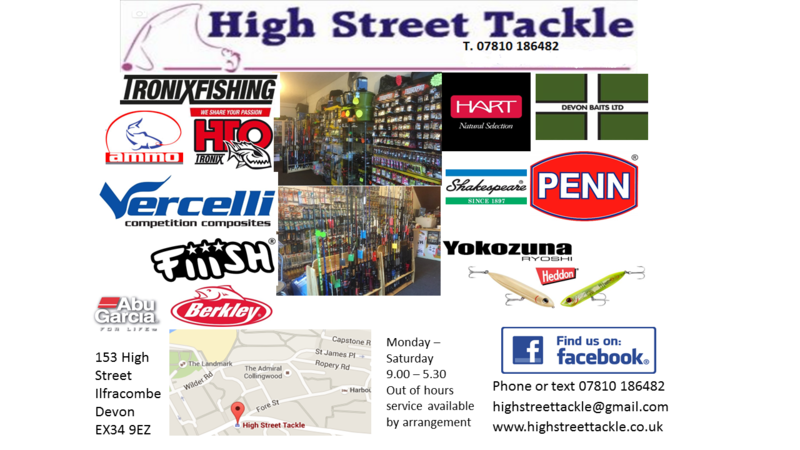 Anglers visiting the town can benefit by calling into the towns only tackle Shop – High Street Tackle. 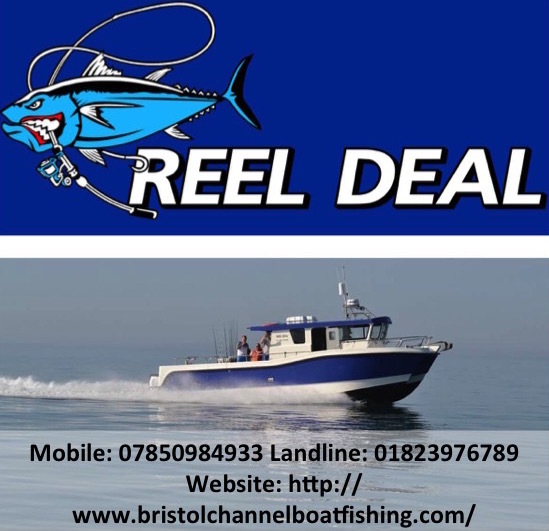 The shop carries a wide range of sea angling tackle for both boat and shore along with essential items for the coarse angler. Owner Danny Watson is an enthusiastic lure angler and ensures the shop has all the latest lures to tempt both angler and fish. The area has plenty of opportunities for the bass angler with lure fishing productive from mid April until December depending upon sea conditions. 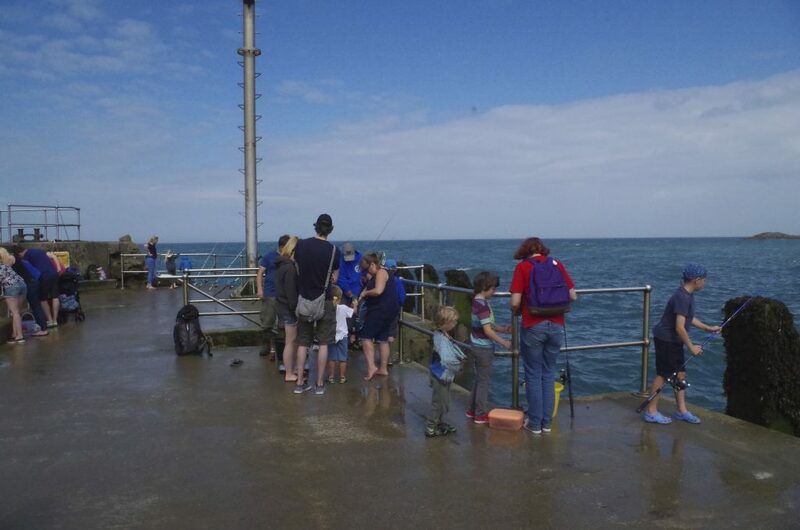 The Pier is Ilfracombe’s most accessible shore venue and has provided a fishing platform since Victorian Times. The original structure was demolished at the end of the last century and landing platforms built to enable boats to land at various states of the tide. 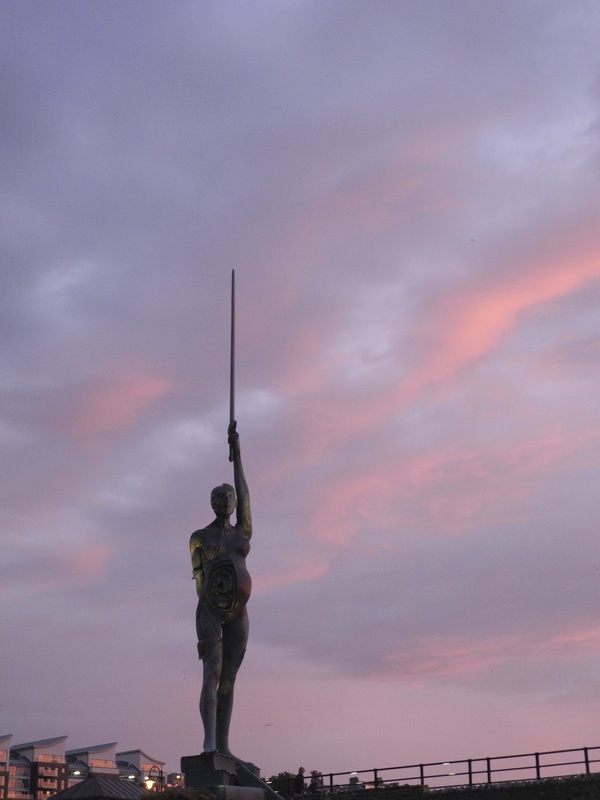 The famous Damien Hurst Statue Verity has raised the profile of Ilfracombe and its Pier in recent years and is a stop off point for hoards of tourists who debate its merits. These landing platforms provide easy access fishing for anglers of all abilities. The venue is one of very few places in North Devon with good disabled access. The Lower landings can be safely fished 2.5 hours either side of low water in settled weather. The right-hand side by the Stone bench can be fished over High Water but only allows casting access to the less productive harbour area. Anglers must be aware of boat traffic at all times and ensure they take care when casting and always retrieve lines as boats approach. There is a vast array of species caught from the pier each year with target species varying throughout the seasons. Standard beach casting tackle can be used to catch dogfish, conger, ray, bass, flatfish, Pollock, pouting, whiting and codling. Float-fishing tactics will bring mackerel, garfish and Pollock. The pier is a popular venue for species hunting with many mini species caught. LRF tactics are at times very productive with blennies, dragonets, wrasse and clingfish amongst catches. 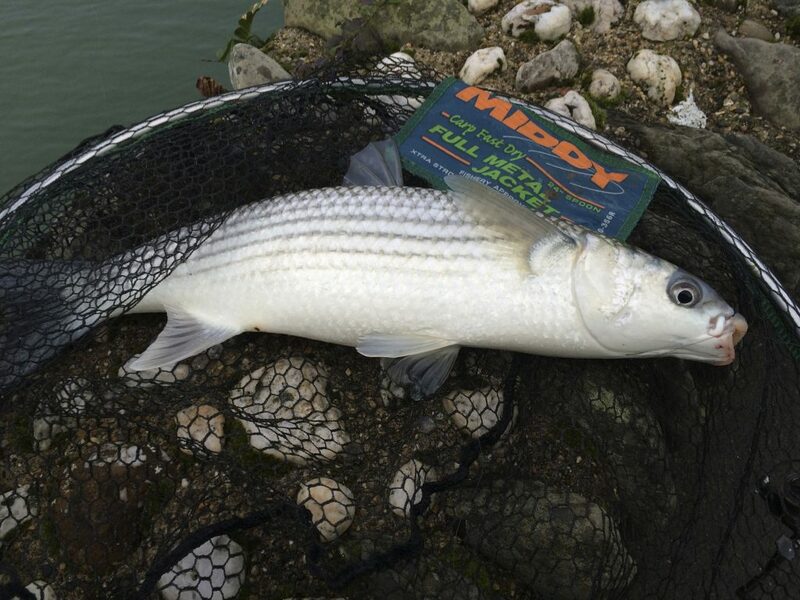 Grey mullet can be tempted using light freshwater tactics with bread flake the number one bait. There is ample parking adjacent to the pier and the Aquarium located at the rear of the Pier car park is well worth a visit. There are plenty of rock marks close to Ilfracombe that provide access to a wide variety of sea bed ranging from sand to rock and kelp. Capstone Point is a popular mark that gives access to deep water with a strong tide run. Great care needs to be taken here as the point is exposed to treacherous swells that have swept anglers into the deep water. The rocks here are also very slippery ensuring the need for studded boots especially if attempting to net fish. There are also various marks between the pier and Capstone including Cheyne Beach and Salty Dog that can yield a variety of species. 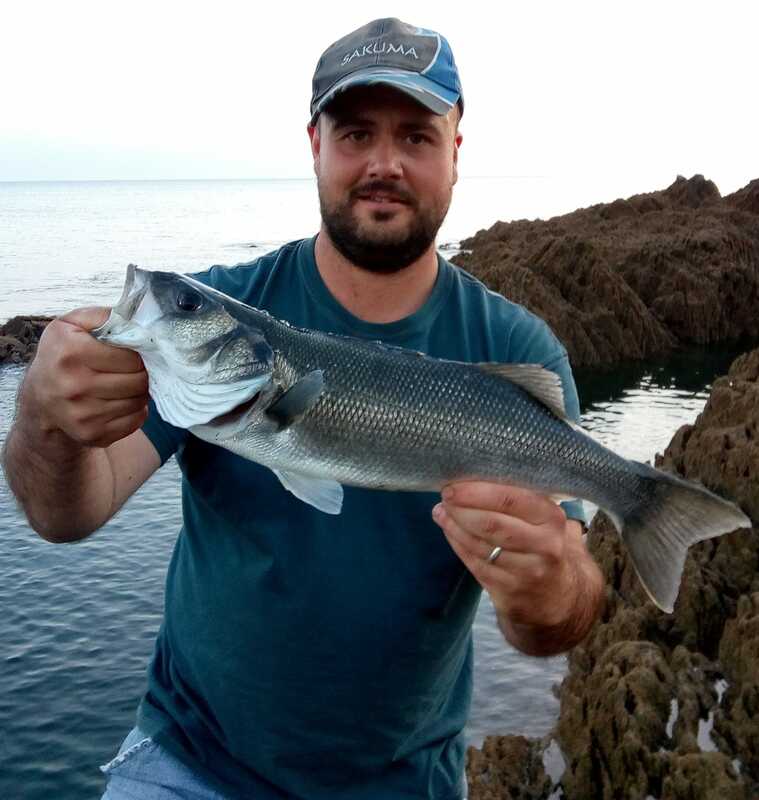 Six miles East of Ilfracombe is the village of Combe Martin that has a sandy beach that is seldom fished but has in the past rewarded anglers with bass, flounder and the occasional conger. There are several rock marks between Ilfracombe and Combe Martin most of which are on Private property where a permit is required. Broadsand’s Beach and the rocks to the East of the beach can be productive but care must be taken not to get cut off by the rising tide. Fishing is possible over low water with a variety of species available. 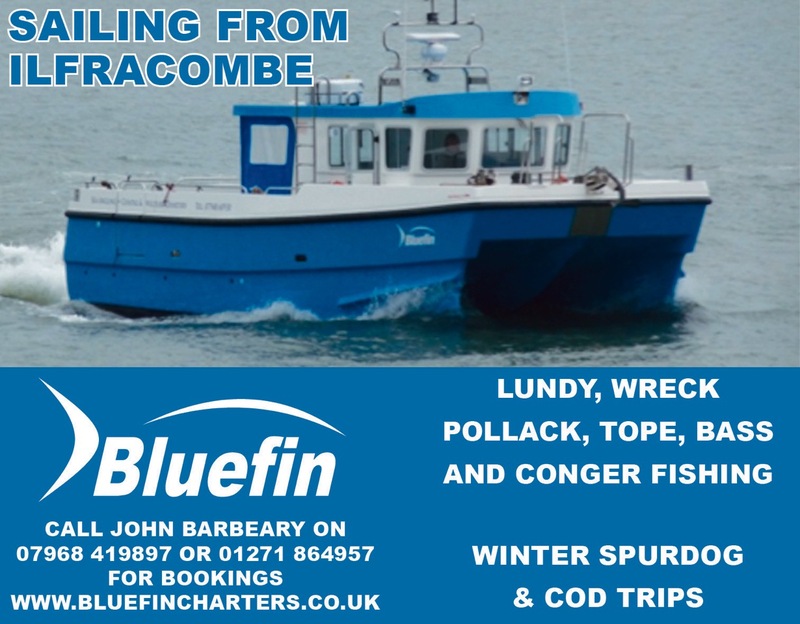 There is a small fleet of Charter Boats operating out of Ilfracombe giving access to a wide range of species throughout the year. 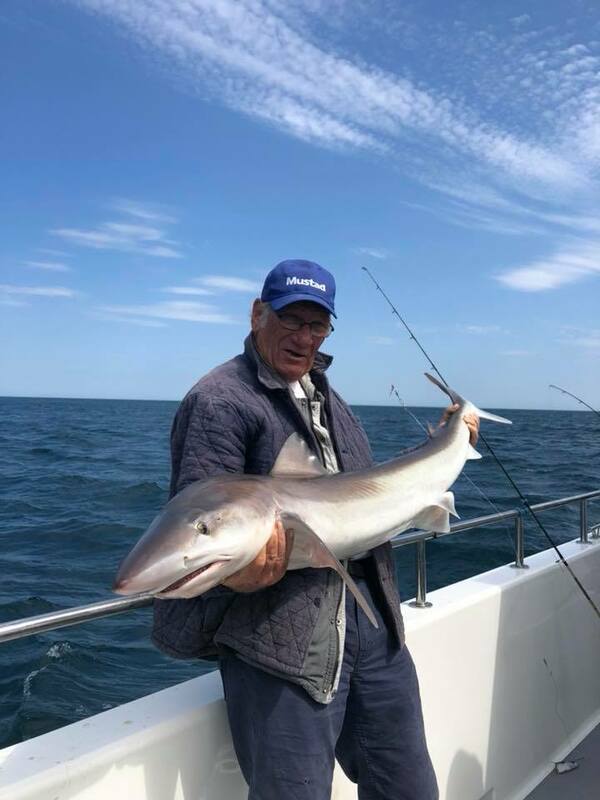 Recent years have seen several boats venturing to new ground with porbeagle, blue shark and thresher shark brought to the boat. 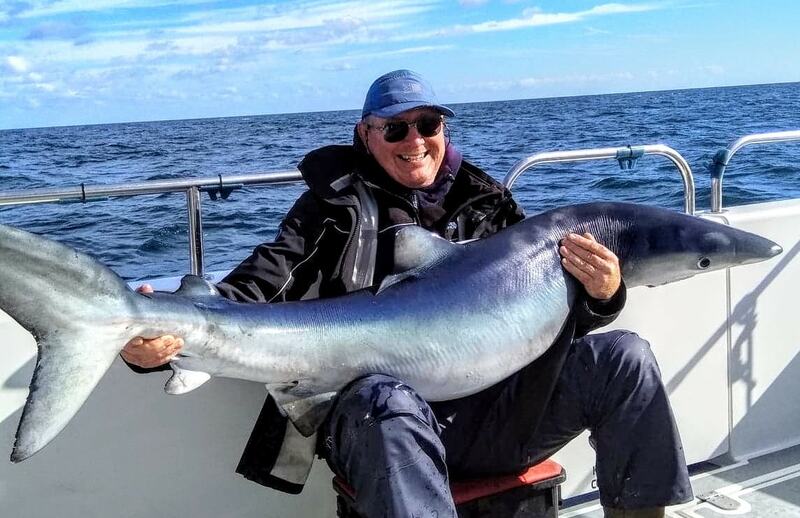 The summer months give the opportunity for anglers to catch mackerel, pollock, bass, ray, tope and many other species. The winter months see spurdog, conger and bull huss dominate catches with the occasional cod. 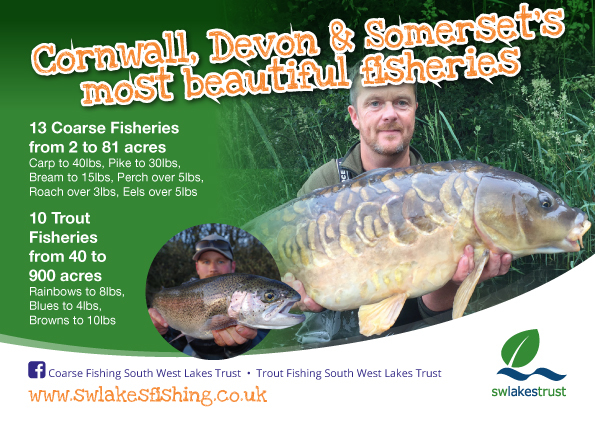 Lower Slade Reservoir is run by South West Lakes Trust and boasts an impressive range of specimen fish including carp to 25lb, pike to 25lb, bream to 7lb, perch to 5lb and large numbers of roach. The six-acre reservoir with depths of up to 25ft is set in a tranquil valley that was once adjacent to the Ilfracombe to Barnstaple railway. 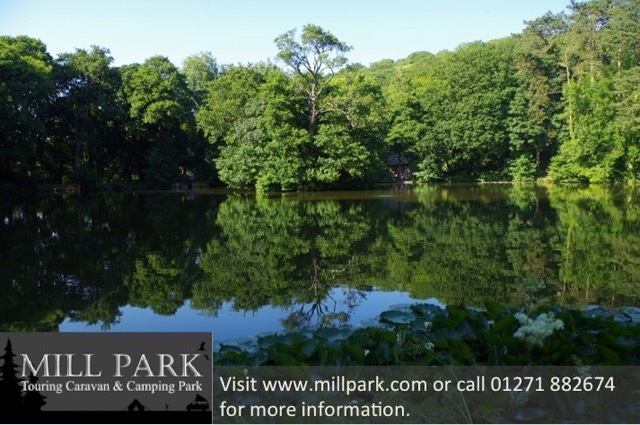 Mill Park Campsite is home to an attractive former Mill Pool that teams with quality roach offering some of Devon’s best silver fish sport. The lake also holds carp and bream.